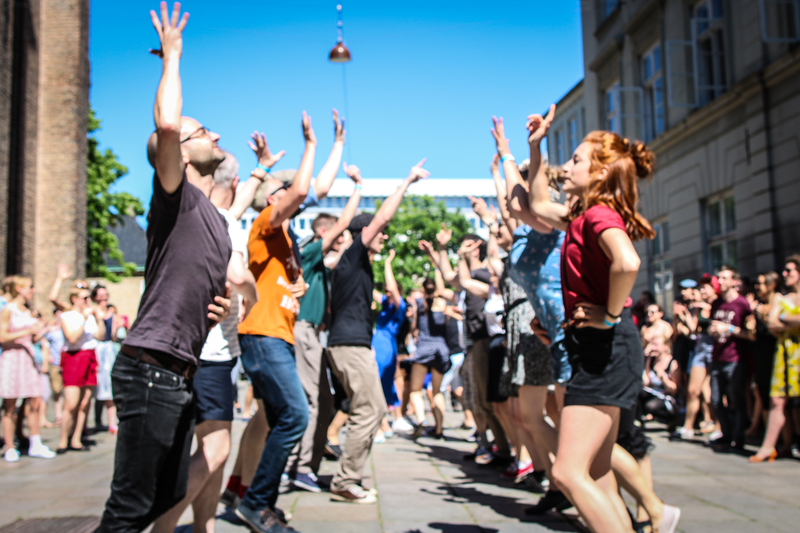 There can be no Copenhagen Lindy Exchange without a range of activities to fill your days with fun, excitement and the chance to get to know your fellow dancers – and the city of Copenhagen. Some of the activities will cost you some money. Not for us to get rich, but to cover the expenses. You can register for the activities right here. Finding it difficult to get those victory rolls just right? Does it seem like your hairstyle always ends up looking like last time? Or do you need tips to get your hairdo to last all night? Whether you always do your hair before going to a lindy party or it is your first time trying to do so, this course is for you. We will go through the basic techniques and give you our best tips for a hairdo that will last all day and all night, even through frog-jumps and tandem charleston. 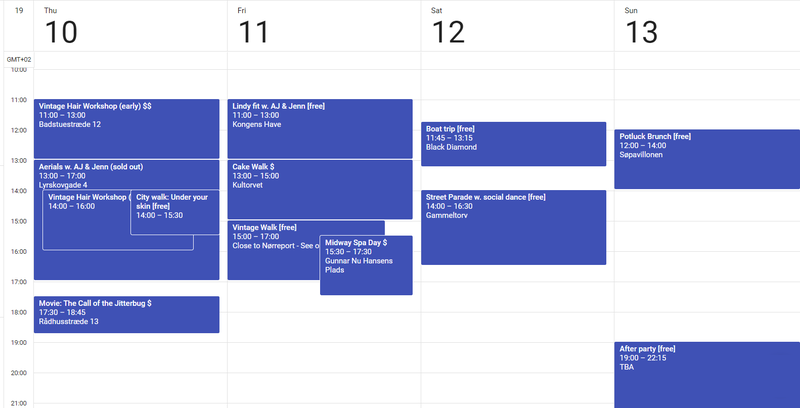 We’ll host two sessions to accommodate as many as possible. Both of them last 2 hours and can hold up to 6 people. The regular price is 350kr per person but as a treat to the participants at CPH:LX we offer the course for 250kr per person. The courses are held at Badstuestræde 12, Copenhagen K.
The lovely taster teachers simply cannot sit still: They want you to fly! Start off your exchange with a 4 hrs workshop in aerials. In the workshop you will learn: A frame, judo, flapjack (or pancake), knickerbocker (or theJean if people already know it) and the duck and dive for bonus if there’s extra time. Sign-up through SwingShoes website (you need a partner for this one). The workshop has its own Facebook event! It’s movie time! Join us in the cozy cinema of Husets Biograf for the first Danish viewing ever of the 1988 documentary ‘The Call of the Jitterbug’. The documentary has been called a ‘must-see’ for lindy hoppers, as well as ‘the best documentary about lindy hop’. Featuring interviews with Frankie Manning, Norma Miller and Dizzy Gillespie. Doors open at 17.30, the movie starts at 18.00. The movie last for 35 minutes, and afterwards there’ll be a short Q&A with our local dance expert: Per Rock. Whether you’re new to Copenhagen or old in town, you can still enjoy this city walk. Led by a very enthusiastic and experienced guide, you’ll see Copenhagen from another view. With scary stories about the gruesome past of Copenhagen, this city walk is sure to get under your skin. Jennifer and AJ will lead us through this first ever Lindyfit Lindy Games. Jennifer is the founder of Lindyfit – a modern workout for vintage dancers. Her focus is to help fellow lindy hoppers through core exercises, aerial-specific exercises, total body workouts & much more. So grab a partner and have fun testing your dancing and athletic prowess with Lindyfit’s First Ever Lindy Games. The challenges include fun outdoor games such as the Donut Dip, Banana Bal, the Charleston Relay and more. A favourite of past CPH:LXs is back: The Cakewalk. Join us for a tour of Danish Cake Classics where every cake has its own story. As there are many ways to make these Danish classics, we will have a chance to try both a low and high quality version of each cake. And don’t worry – the tour will include walking, so you can have your cake and eat it too. Should you for some very strange reason only want to hear about the cakes without trying them – or just really like to watch other people eat cake, you are welcome to join us for free. Every city has its own hidden vintage treasures. Our own local vintage expert, Natasha, will take you on a treasure hunt through a selection of Copenhagen’s best vintage shops. On the vintage walk you can discover beautiful dresses, bijouterie hats and gloves. Natasha is an experienced vintage shopper and enthusiast and she will show us all the hidden treasures of Copenhagen. The tour is free. Meeting place will be announced on Facebook. We will end the tour in the newest vintage pearl, A Touch of Vintage, that has invited us for a nice glass of port. The event is targeted at women, as the shops we will be visiting offer mostly women’s clothes. But men are of course also welcome! Ahh. Midway through the Exchange, let’s reboot the body and feet, and join us for a day at the races spa. Last year, when we moved the venue to Østerbro, we were tempted to start our own Copenhagen spa tradition. And hence: Midway Spa Day was born. It might be a bit further away from venues this year, but it’s relaxing for body, mind and soul. There’s only 24 tickets for this activity. Bring your own bathing clothes and towel. In Øbro-Hallen, there’s hot baths, finnish spa, and a foot therapy room! This is the most classic and popular daytime event at CPHL:LX and a “must” for first-timers at the event. 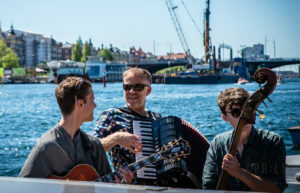 We will tour the canals and harbour of Copenhagen accompanied by live music from musicians from Reverent Juke, Bumpy Roof and The Flying Jazzman. After the boat ride we will dance on some of the main squares of the city as we follow our musicians through the city. After the boat trip, we’ll go straight to Gammeltorv where the annual street parade will take its beginning. We’ll fill the streets with music, dancing and happiness. Somehow, the sun always shines on the street parade. 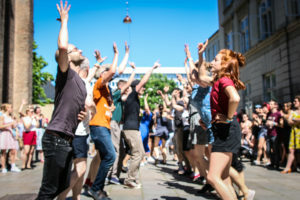 Join in on the fun and let’s dance in the streets! During our Potluck Brunch, you will get a chance to bring and eat delicious food, mingle with the other dancers, and listen to good swing tunes in the background. The brunch will take place in Søpavillonen with a lovely view to the lakes. The brunch will have a potluck character (in Danish: sammenskudsgilde), which means that everyone who wants to join, brings some food with them. You are of course welcome to bring a special delicacy from your home country. When you bring food to the Sunday brunch, it needs to be ready to serve, as there will be no kitchen. So please think cold, sliced, easy. There will be cutlery and plates available and you will have the possibility to buy drinks at a bar. Please note that signing up for the brunch is binding. Join the Potluck Brunch by filling in your name in this Google Doc spreadsheet. In case you can´t open or edit the document, there will also be a possibility to sign up for the brunch at CPH:LX check-in desk.